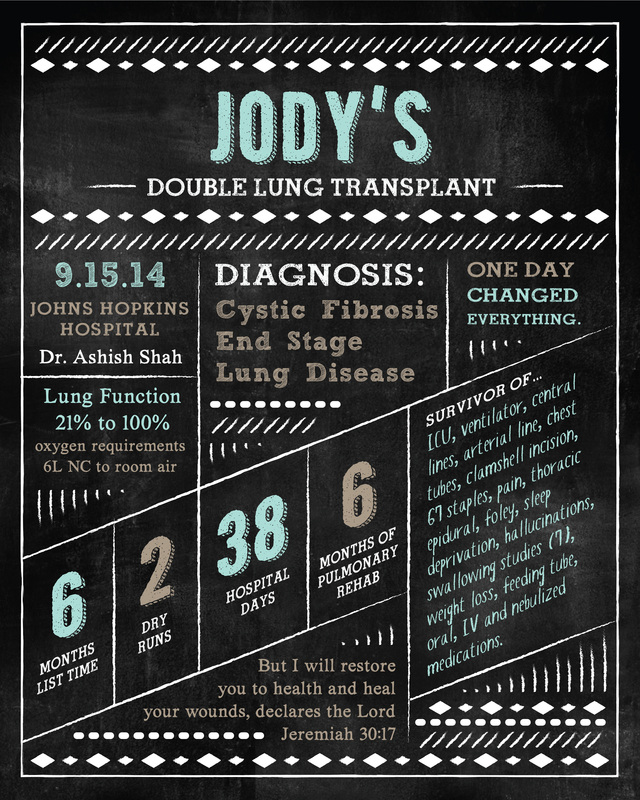 I remember our phone call the day Jody got new lungs. I remember how scared yet full of joy and excitement you had. How worried you were for Jody. The waver in your voice as you talked about the doner….. Knowing a family some where was hurting. Look at Jody today. It is amazing. I have been glad to walk with you, sharing tears of joy, pain, frustration, and excitement. I also remember the day Sheryl called and said Jody’s new lungs were ready for him. I too had fear, excitement, anxiety for all of you, but also hope! I know the journey was difficult and scary, but I am so glad to see Jody being able to breathe easily and his warm smile truly lights up his face, way into his eyes! Tiffany, your joy is in abundance too and I couldn’t be happier for your family! You are loved! I am just over a year out, as well, as of Aug. 30th. I had a bunch of setbacks post op, spent 3 weeks recovering in the hospital before discharge. Even dealt with an OD of oral pain meds when my stomach stopped emptying. Was down to 6 respirations a minute when they coded me. There have been moments throughout the year that have slowed progress, but it never went backwards which was great. The emotional was far harder to heal from than the physical. I ended up seeing a psychiatrist for help in June and finally realized I was going through a deep mourning period after losing the old lungs, losing my disease which was such an all encompassing aspect of life prior. I craved the chaos of the hospital that was the norm in my life for 20 years. All is moving forward nicely since that epiphany, about to make one more move to a place my wife, 9 year old daughter, 7 year old son and myself can finally settle, plant some roots. When asked what they wanted to do most when daddy got new lungs their reply was “jump in the trampoline and run and play with him.” The simple things that seem so little to so many, but are the biggest to us. Hi Steve! Thank you for your comment and congrats on your 1st Breathday as well! 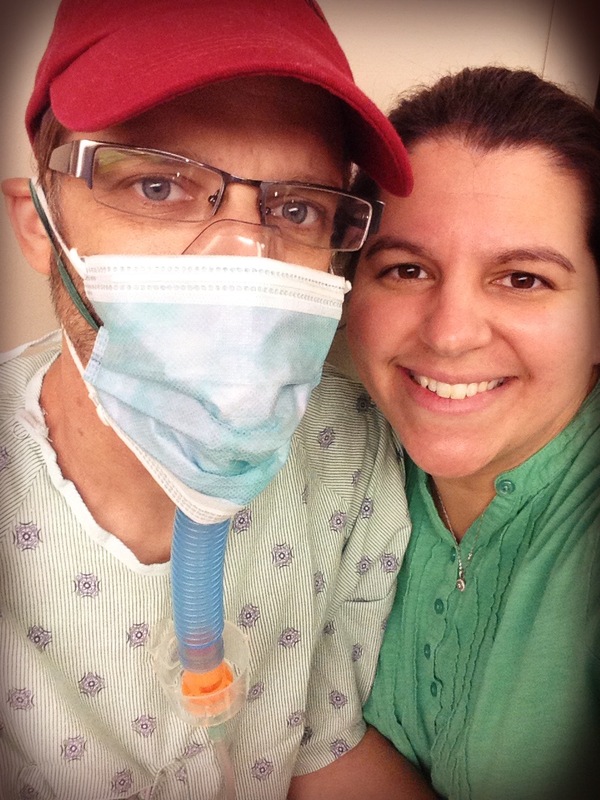 It is an odd thing (that we weren’t really prepared for) that once you get your new lungs, life as a CFer pretty much ends (at least it did for my husband). Because of his advanced disease we saw his CF team and the nurses of the CF floor quite often. They felt like family and in an instant all that was gone. Don’t get me wrong, we are thrilled for his new lungs and new lease on life, but you are right, there is a mourning period of sorts. I hope you are on the path to full recovery, without any more complications. Go run, jump and play with your kids; it will be healing for their little souls. And give your wife a hug from me; tell her it’s from a fellow Cyster Wife who understands her side of CF, transplant, and parenting with it all. Congrats again!